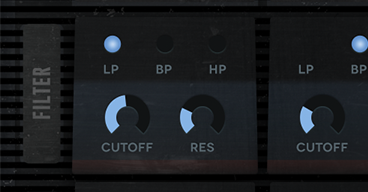 Fabrikator sports an all-new sound palette of custom-designed acoustic-synthetic kit elements. 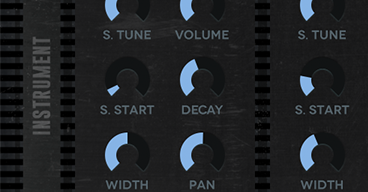 Fabrikator's electronic kits are a playground of different sound treatmentsgrungy, glitchy, granulated, distorted, tuned, etc.that respond to convolution in even more interesting ways. Adjustments to tuning, sample start points, decay envelopes, and sample width can be used to control how different convolution impulses color an instrument. 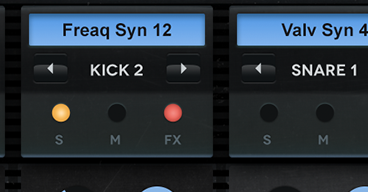 Fabrikator is multi-out capable: kit slots can be routed to separate output channels for automation control and 3rd party plugins. Building on the strengths of Konstruktor, and keeping with the ethos of raw, unpolished percussive sound, Fabrikator explores the texture and motion of acoustic-synthetic sounds colored with convolution. The task was to design distinctive synthesized percussion that would complement the new acoustic palette while offering fresh material for the convolution engine: sounds and textures that would react in new and unexpected ways. Different design and mixing methods were applied to produce nine categories of synthetic percussion: over 200 multi-articulation sample instruments in total. Sound treatments include valve and fuzz-wah filters, frequency disintegration and granulation, harmonic and digital distortion, and pitch/time and modulation effects. 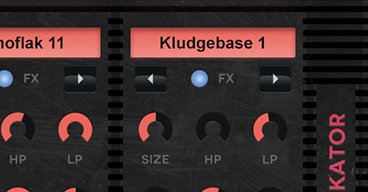 Fabrikator offers a rhythmic sound palette and convolution engine with practically endless combinations. 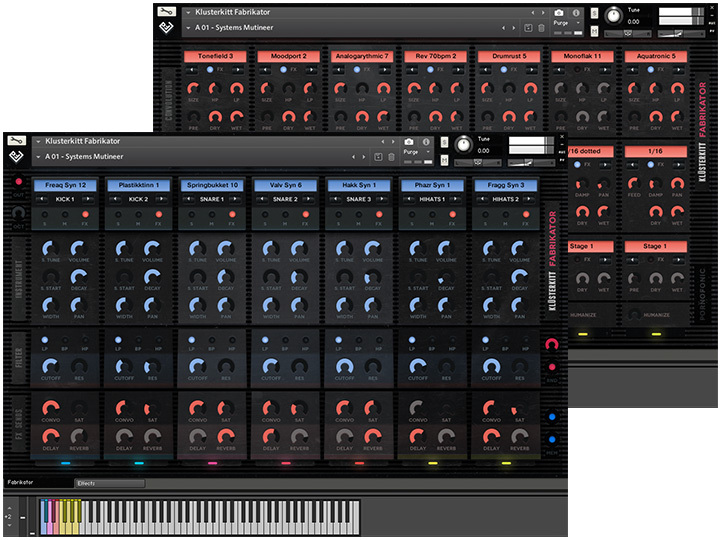 Check out the newest addition to the Klüsterkitt family: Rezonator  deep electronic kits and acoustic cluster percussion. New convolution impulses bring the total to almost 400, including vinyl/radio/tape/digital noise and static, particulate and granular effects, digital and acoustic sound effects, frequency modeling, mic effects and chorusing, stereo imaging, and new, pitch-based impulses for adding harmonic interest to rhythms. With Fabrikator's totally new sample content, the aim was to shape and control the interaction between convolution impulses and more dynamic textural material. What new rhythmic possibilities might emerge? 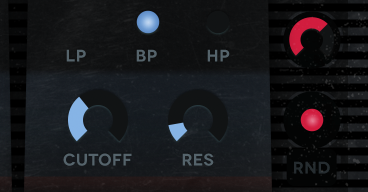 Going beyond frequency modulation, panning, and spectral effects, this is a new direction for generating rhythmic sound treatments from sample content. Packed with this kit builder are 72 beautifully constructed kits, ranging from big, deep hip-hop/downtempo kits to dirty, hyperactive electronic/hybrid kits. Now with multi-out capability. Get inspired.